Peter Dinklage Joins 'Avengers: Infinity War', But Who Will He Play? Pretty much every Avenger is going to show up for the massive crossover Avengers: Infinity War, but there are going to be some new faces, too. Those are the more interesting thing to look out for, right? And so far we haven't heard much about fresh faces. Well now we have one for sure, and it's Game of Thrones star Peter Dinklage. According to Variety, Dinklage is joining the two-part film, the second chapter yet to be titled. So who is he playing? While Dinklage is expected to have a big role, one that will put him in both movies, we don't know his character yet. Comics writer Rob Liefeld suggests he'll play the diminutive Pip the Troll, solely based on Dinklage's height. 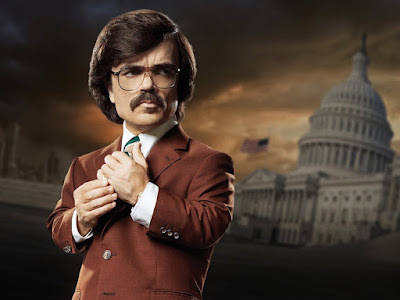 He seems to forget Dinklage played a Trask in X-Men: Days of Future Past and his size wasn't even an issue. Yeah, Pip has ties to Thanos but it's mostly through Adam Warlock (not confirmed to be in the story) and Gamora (more on her in a sec). The popular fan theory is Uatu the Watcher, part of a cosmic race of beings charged with overseeing major events throughout the universe. Makes sense considering the universal stakes involved. It's entirely possible he voices some kind of CGI character, also, just as Vin Diesel and Bradley Cooper do in Guardians of the Galaxy. Others expected to appear include Tom Holland's Spider-Man, after the actor confirmed to Vogue that he will be in the film. And we've known for some time that the Guardians of the Galaxy would be involved, but it was made somewhat official by Zoe Saldana to MTV. Here's hoping we get the Groot vs. Hulk matchup we've all been dying for. Avengers: Infinity War and Avengers 4 are expected to shoot back-to-back this summer, with the first part opening May 4th 2018.